In our informed opinion, LA might just be the sickest city on planet earth. There is so much to do, see, experience and eat, that despite having been well over a dozen times, we always do something completely different on every new visit (aside from In 'N' Out Burger of course). As well as we think we know the greater LA area, we know that we've just scratched the surface. Joy Moon, an LA native, has compiled a list of some of the deeper cuts and packaged them in a slick book. 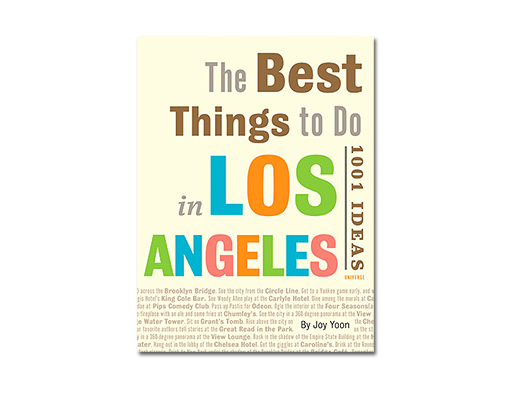 Seriously, buy this book and spend a long weekend in LA. You will have so much fun. Available through Amazon.